One of the biggest struggles that homeowners have when it comes to interior painting is not choosing the right contractor; it’s choosing the right colour! It can be very difficult to envision how a colour on a swatch will look when covering an entire wall, and everyone wants to love the results of a painting project. 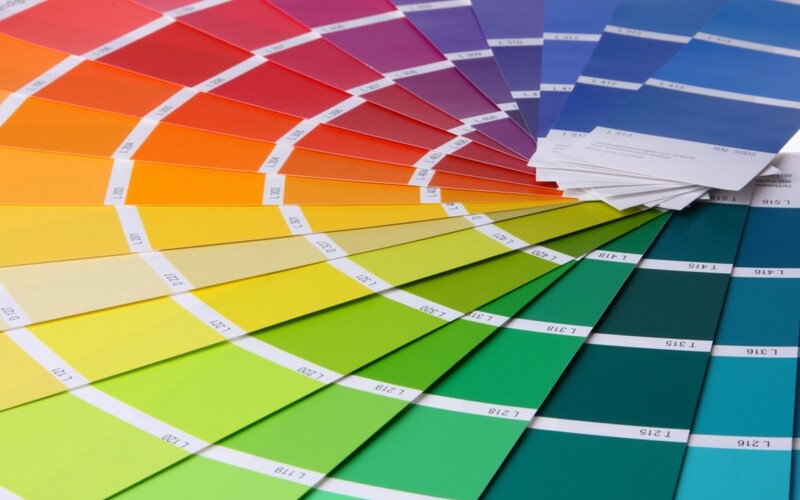 To help you select the ideal colour, here are some tried and true tips. As a point of reference, warm colours are those that are combinations of red, orange and yellow. Cool colours are any made with blue, including every shade of blue on the colour wheel, green and purple. 1. To add width to a long, narrow room, try painting a lighter colour along the long walls and a darker colour on the shorter walls. 2. If you want to make a small room feel larger, stick to light colours on the walls and choose a hue in the same colour family as your furnishings or in a neutral tone. 3. Remember that the type of lighting in the room will affect the appearance of the colour. Fluorescent lighting will make colours appear bluer or greener, while incandescent lighting adds red or orange tones. LED lights can produce either effect, depending on whether they are cool (shift to blue and green) or warm (shift to red or orange). 4. Don’t hold your swatches up to the wall. Colours appear differently when placed beside different shades, and the current colour of your wall won’t be present in your room. Instead, try holding the paint swatch up to the drapes and the other furnishings that will be near the wall in your room. 5. Ceilings are generally left white because they give the illusion of a higher height. White doesn’t come in one shade, though. Warmer-toned whites should be matched with warm wall colours, and cooler-toned whites will coordinate best with cooler colours. 6. Don’t forget what’s visible from the room next door. You want colours to complement one another and flow from room to room. Colours that clash or are startlingly different can make a home feel choppy. 7. Keeping the mood of a room in mind is important when choosing colours. Warmer and darker shades make rooms feel lively, while cooler and lighter shades create a more serene vibe. Some rooms lend themselves toward one mood over the other. For example, bedrooms are often designed to feel calming with cool tones. Other rooms can go either way depending on your design vision. You could make a dining room festive with warm tones or elegant and intimate with cool ones. 8. Finishes can be used to add interest to rooms that are painted a single colour. You can use a matte or satin finish on the walls and a semi-gloss on the trim, for instance. At Colour Elegance, we offer colour consultation services for all of our clients. We’ll be glad to provide you with professional recommendations regarding colour selection based on the lighting in your room and the colours of your furnishings, window treatments and flooring. Contact us today to set up a consultation.